I heard from a Lithuanian friend that she and her family used to gather mushrooms from the forest and stew them in water with a silver dollar. If the silver turned black, they knew they had a toxic mushroom and they threw out the entire batch. Unfortunately, none of the easy folk identification tricks work. Boiling a mushroom with a silver dollar won’t tell you if something is toxic or not. 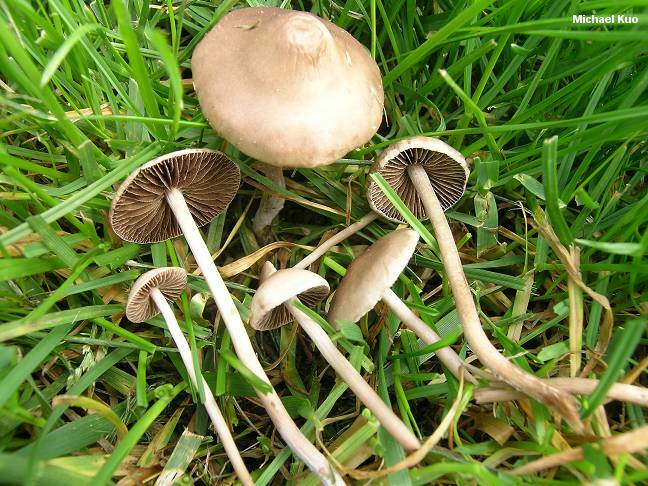 Nor will watching animals to see what they eat since some animals can eat deadly toxic mushrooms or believing that all mushrooms growing on wood are edible (the deadly Galerina grows on wood in many parts of the US, including the Chicago region). The only way to know is to identify the mushroom and know its edibility. If you aren’t sure what it is, and know that that species is edible, DON”T eat it.